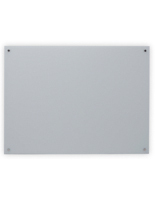 Frameless Whiteboards for a Clean and Modern Presentation Every Time! 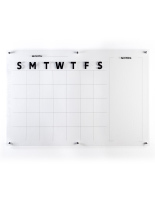 Dry erase boards don't have to be dull. 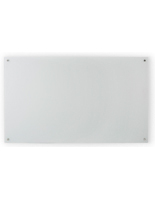 With a few simple design modifications, frameless whiteboards become the spotlight rather than the accessory. Thanks to their minimalist aesthetic, they are the go-to choice for professionals everywhere. 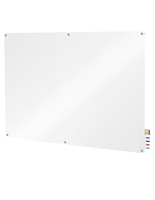 Moreover, frameless whiteboards offer lots of great features, like tempered glass, clear acrylic, metal standoffs, and magnetic backing. 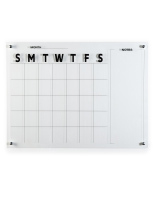 The unframed design sets these models apart when compared to more traditional write-on displays. And the polished surfaces? They make writing with markers a smooth and comfortable experience. 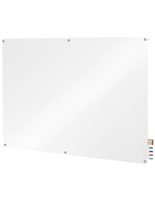 What sets frameless whiteboards apart from conventional markerboards? 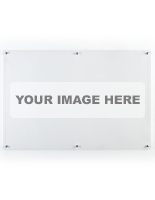 Quality — economy dry erase displays are usually made with a thin white receptive layer laminated to a wooden substrate. While this process creates a decent write-on surface, the quality is lacking. 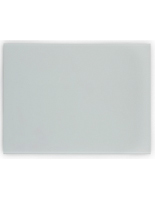 Ghosting on the whiteboards is possible, and the marker surface is susceptible to wear and tear. Acrylic — cast acrylic does away with that manufacturing process and provides a crystal clear presentation. 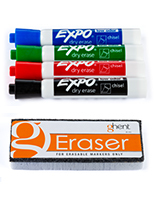 The material is coated with a non-ghosting layer engineered for use with dry erase markers. All edges are machine polished to a professional finish. 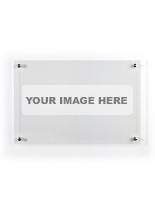 In addition, we offer custom print capabilities that allow you the ability to personalize or brand your display. Also available are pre-printed monthly planners. 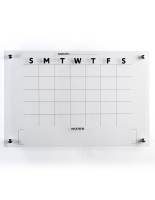 These feature calendars with daily grid lines for scheduling, planning, and reminding. 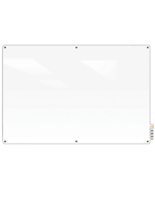 Glass — tempered glass markerboards are the sleekest of the bunch. Hands down, these models are our best-looking write-on display products. Whether you are a single business owner or a large architectural firm, glass boards convey a sense of style and sophistication. The panels are tempered for safety and marker ghosting is not possible thanks to the non-porous nature of the writing surface. We offer panels in monochromatic shades to provide you with more options based on your wall color. 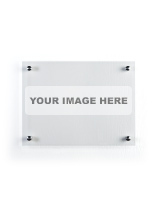 Magnetic — sheet metal is laminated on the reverse side of the glass models only, which makes them magnetic receptive. 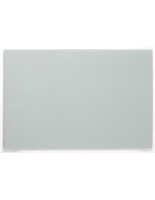 For best results, we highly recommend using neodymium magnets for sticking notes or pictures to the glass surface. The reason is, the magnet needs to pass through the resistance of the glass in order to hold. Conventional black magnets will not be strong enough. Mounting Options — the boards can be installed in a couple of ways. Metal standoffs (available in aluminum or stainless steel) are the popular choice. 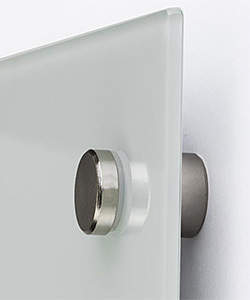 These machined fasteners pass through holes in the glass or acrylic panels and mount to the wall. By design, standoffs raise the boards up off the wall for a fabulous presentation. 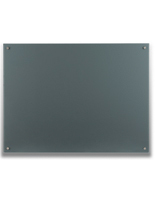 If you prefer a more subtle installation, we offer select models with a hidden mounting system (glass boards only). 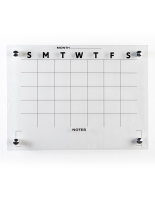 Hangers are incorporated into the sheet metal backer that hang onto the wall screws. 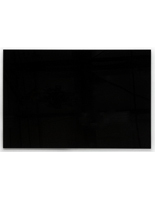 These styles are available on smaller 24x18 and 36x24 sizes only. Who uses whiteboards? The education sector is a major player. 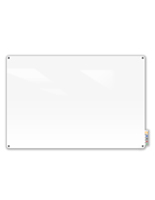 Today, most classroom chalkboards have been replaced with dry erase. A contributing factor is marker boards make less of a mess when compared with stick chalk. The use of markers also enhances the teaching experience. Notes written in different colors help to organize information or place emphasis on a particular section. The same can be said for the office environment. Conveying an idea is at the root of all learning. 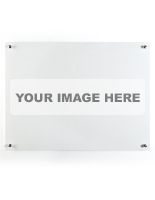 Professional white boards communicate the message or objective to your audience!